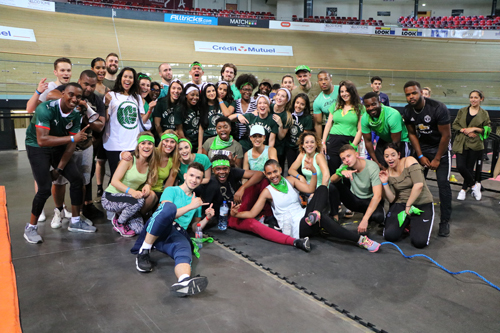 Last Friday, nearly 500 participants went to the Vélodrome National de Saint-Quentin-en-Yvelines for the annual Olympics of the College de Paris, organized for the first time by the students of Ascencia Sport. This essential event, preceding the exams, traditionally brings together the 4 Ascencia Business School campuses (Marne-la-Vallée, Evry, Saint-Quentin-en-Yvelines and Paris – La Défense). New this year: Digital College students also lent themselves to the game! Divided into teams, the students and members of the administration competed in numerous events: basketball, cross-fit, badminton, sumo wrestling, football, tug-of-war, or e-sport All supervised by the students of Ascencia Sport, who organized the event from A to Z, this challenge being an integral part of their final evaluation ! At the end of the day, Marc Mingoia, former sports presenter for Eurosport, and host of this unique day, announced the names of the winning teams. 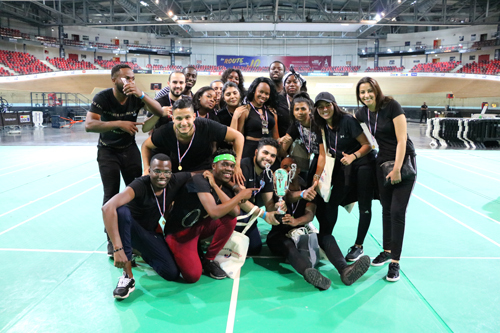 For the second consecutive year, Ascencia Business School Paris – La Défense wins the cup! Congratulatio ns to the Team Win team, but also to all the other schools that showed great team spirit and great motivation! All the Collège de Paris teams would like to congratulate the students of Ascencia Sport for their involvement in organizing this superb event, as well as the partners who supported them in this success the Vélodrome National de Saint-Quentin-en-Yvelines and its Sales Director, Thomas Boudeville, Décathlon, E-Corp Gaming, Sidaction, D-Burger and Fitness Boutique !